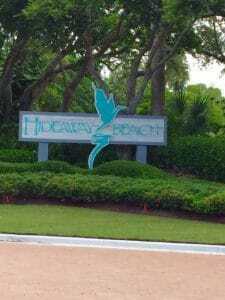 The Hideaway Beach Club offers shelling and fishing spots, a sports center complex, as well as boardwalks for nature studies, this club is definitely among the favorites for locals and tourists alike. You’ll also get to enjoy a variety of entertainment options, great restaurants for any appetite, and just overall an excellent location to call home. Most notably, Hideaway Beach Club, which consists of Condos and Homes (yes! Homes!) features Royal Marco Point Condos as well as Habitat Condominiums. It’s home to the largest concentration of Florida Live Oak trees in the world. The Coconut Grille Room is the only private restaurant on the Gulf of Mexico. 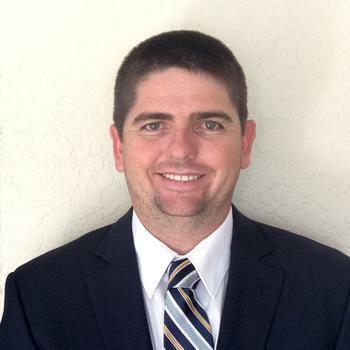 The club has a private nine-hole executive golf course that was recently revamped. More than 150 acres of property are wetlands and conservancy . 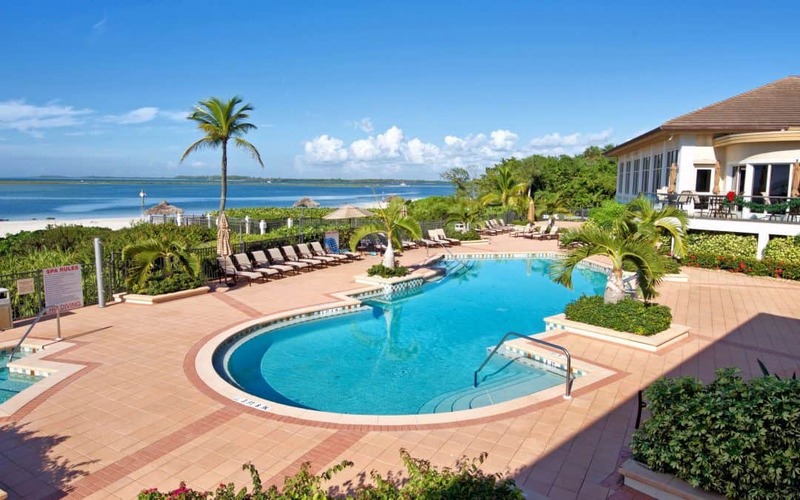 The private gated community is situated directly on 2.5 miles of beachfront. The Hideaway Beach Club is situated on the Gulf of Mexico and it is home to many great social activities and fine dining. The Clubhouse boasts a total of 22,000 square feet and offers plenty of dining options for members. From the Sunset Lounge that offers delicious cocktails, to the Sand Bar where you can enjoy a delicious beachside lunch – you have plenty of dining and entertainment options at the Hideaway Beach Club. There’s also the Coconut Grille Room and the Gulfview Room, where members can enjoy exclusive dining options as well as great socializing with fellow members and locals. The Coconut Grille Room is also the only private restaurant on the Gulf of Mexico. The food and beverage team of the club continually work to meet the highest standards in food and drink, and they are committed to excellence. The Hideaway Beach Club is ideal for any gathering or event; whether you want to arrange for a small, intimate gathering, or a large, formal event, the club is ideal to host your party. They have staff ready to assist with catering, décor and other arrangements, to allow your guests to experience a magnificent event at one of the best locations in the area. In fact, it’s usually decorated so nicely you’ll want to run to your local home decor store to get some of the items yourself. Member of the beach club can enjoy a breathtaking pool and spa deck that is perfectly situated to overlook the Gulf of Mexico. Spend time under oversized umbrellas and chaise lounges while you enjoy the pool area with its casual, relaxing atmosphere. The beach area is equally impressive with its clear sands and crystal-clear waters. Spend a relaxing day on the beach with drinks available from the Sand Bar. The Hideaway Beach Club boasts a nine-hole private executive golf course that was designed to be a challenge to the average golfer, while focusing on the native beauty of Florida. This beautiful golf course has also received a complete revamp in 2005. To help preserve the natural character of the environment and the community, all projects are monitored by the Architectural Review Committee. No construction can take place without the committee’s approval, as they want to maintain the character, harmony and pristine grounds of the club. With magnificent views and luxurious amenities, the Hideaway Beach Club is the ultimate in luxury real estate. It offers members everything they can expect from an upmarket location, with plenty of great socializing and nightlife activities to enjoy.